The peak power figure is becoming increasingly insignificant. The use of a peak power figure as short-hand for measuring vehicle performance has always had a dubious rationale - and it's getting worse. In fact, it's nearly as bad to suggest that a car with 150kW is going to cane one with 130kW as something else that used to be very common, at least in this country. So what was that, then? A long time ago, when I was a young lad, it was a playground norm to discuss how powerful each family's car was solely on the basis of engine size. In my primary school days it was still measured in cubic inches, so we'd scornfully say something like: "Brett's dad has only got a one-eight-six," while Brett writhed in shame and tried to retrieve the loyalty of his friends by giving away newly-bought lollies. "My dad's got a two-oh-two," I'd say proudly, basking in the glow of widespread approbation until someone fiercely trumpeted, "Well, we've got a three-five-one!" At which we'd all know that we'd been beaten and decide that we had better go off and raid the girls' toilets... or something. If all engines revved only to the same rpm, and if they all had similar volumetric and frictional efficiencies, then basing power estimates only on swept capacity would make a lot of sense. And in the Seventies in Australia, the Big Three - Holden, Ford and Chrysler - mostly did have engines that conformed to these three factors. So yes, a three-five-one did have a helluva lot more power than a puny one-eight-six. These days, apportioning engine power on the basis of engine size is known by nearly everyone to be a waste of time: a 2-litre engine might have 85, 94, 96, 101, 105, 110, 121 - or 147kW... and yes, they are all naturally aspirated figures. But just as we discarded engine swept volume as the vital parameter of performance, we now also need to get used to largely discarding the peak power figure. Simply, it's become increasingly insignificant. The logic behind quoting just peak power as an indicator of performance in similar-weighted cars is predicated on the past, where we've were all making some implicit assumptions. Just like it underpinned my primary school playground discussions (who then had heard of a standard one-eight-six that revved with torque to 6500 rpm?! 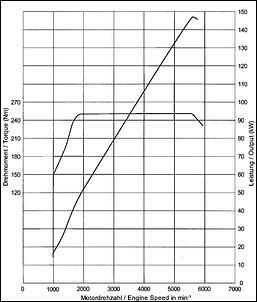 ), in the more recent past we've automatically assumed that an engine with (say) 100kW peak power at 6000 rpm would develop something like 50kW at 3000 rpm, and 30kW at 2000 rpm. In effect, without even thinking of it, we could judge the rest of the power curve from just the peak figure. But that is no longer the case. Especially in turbocharged engines - but also in variably valve timed designs - it's just not enough to say that a 1300kg car has about 140kW. Literally, two similarly weighted cars, both with around 140kW, could have a major variation in their on-road performance times. But if you read those stories and get confused as to why the shape of the torque curve is so important to my forthcoming discussion, just remember the simple concept: torque x revs = power. That is, if you have more torque anywhere in the rev range, at those revs you have more power. And hell, if you have more power when you put your foot down, you're going to go faster, right? That's also one reason why a 0-100 km/h time is one way is a bit deceptive - after first gear, you're never down low again in the rev range. Most cars will take two gear changes get to 100 km/h (about 60 mph), and shortly after each gear-change, the engine revs will be right up the top end again... that is, near peak power. 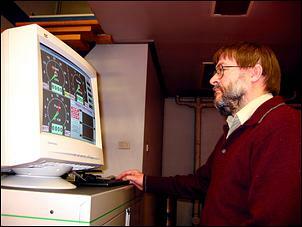 So the 0-100 time shows nothing about immediate response when you're caught in the wrong gear, or even the performance of a car with different gearing - it indicates only what you can gain when the car is launched hard and pushed pedal to the metal until the magic '100' number appears on the speedo. So, is 52kW at 2000 rpm a lot? (It is indicative of how we never look at the spread of power that even the enthusiasts amongst you won't know the answer to that!) Well, let's have a look at the 2.2-litre naturally aspirated engine from the same Opel engineering stable. At 2000 rpm the NA engine - and yep, it's 10 per cent bigger - has only 38kW available. That's a stunning 27 per cent less power at 2000 rpm! So how hard do you think that the 2-litre turbo will be accelerating at 2000 rpm compared with the 2.2-litre NA engine? Now let's compare that with another 2-litre engine of similar max power output. 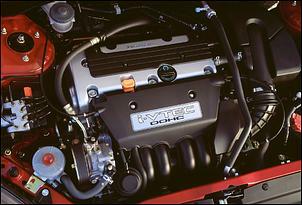 The 2002 Honda Integra Type R develops a peak power of 147kW at 7500 rpm - exactly the same power as the Astra Turbo. 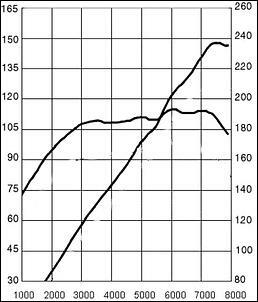 (The Honda's power and torque graph is shown to the right.) So, same engine size, same peak power output. 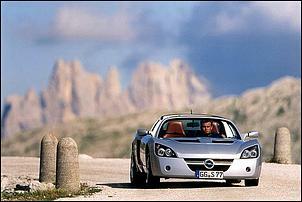 But remember how by 2000 rpm the Astra had 52kW available? Well, at those same revs, the Integra's engine can develop only 35kW... that's 33 per cent less! Sure, different gearing can take some of this into account (the final drive ratios of both cars are enough to see this: 4.764 for the Integra and 3.63 for the Astra - and the Honda has a 6-speed) but it's now true that saying something like: "It's a 2-litre that makes just under 150kW" doesn't really tell you much about how the car will drive, how responsive it will be when caught in the wrong gear - or how much gear changing will need to be done, for that matter. In fact a car with a 0-100 time of 8 seconds - but with lots of power available through the rev range - will always feel like a car that previously would have been a flat 7-second car. By that I mean that the on-road grunt in road situations will be higher - often much higher - than you'd expect from the bare 0-100 time. To make an assessment of the sort of on-road performance that you're likely to gain, you really need to see a power/torque graph, or have available a lot more performance figures than just a 0-100 time. For example, if you have the in-gear acceleration times in different gears, you can quickly get an idea for how fast the car will be when overtaking, accelerating to fill a hole in traffic, and so on. You can also measure 'average power' across a rev range - some engine and chassis dynos can currently do this. But over what rev range do you take the average? The Integra drivers will be suggesting that they never get below 3000 rpm (which of course can't be true unless they always do a big clutch dump launch!) while many others would suggest that the average power in many engines would be most importantly measured across a 2000-5000 rpm range. But neither approach is shorthand. Simply, these days it's impossible to accurately predict on-road performance (and I mean a lot more than a bare 0-100 km/h time) from the peak power figure. Just as we now no longer use engine size as shorthand for performance, using just a peak power figure is also becoming increasingly invalid. And, incidentally, that applies in spades for modified cars, too.